Fast forward ten years later. Most of these early bloggers have established themselves as authorities in the space. And for good reason. 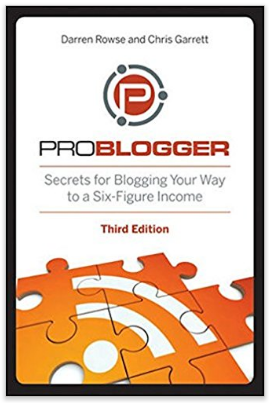 They took the term blogging and made it a way to fund their lifestyles. They do deserve their fame. And most of them still provide top-notch content to their hungry readers(me included). What’s the deal with the rest of us? Each and every day more and more blogs are sprouting from the womb of the World Wide Web. More and more of us strive to live the laptop lifestyle that we so much crave(myself included). Previously, the term blogger was reserved for the superstars that started it all, and if anyone else said they were a blogger they would most probably be laughed at. What has happened today is almost ridiculous. More and more people declare blogging as their profession. More and more self-proclaimed experts show their ugly faces online, claiming they are the next big thing. Most of them fail and quickly return to their “conventional” lifestyles. What makes YOU believe you are different? Why do you think YOUR blog will stand out? Why do you think we even care what you have to say? Why do I think that you care about what I have to say even? Well, I suppose you don’t. 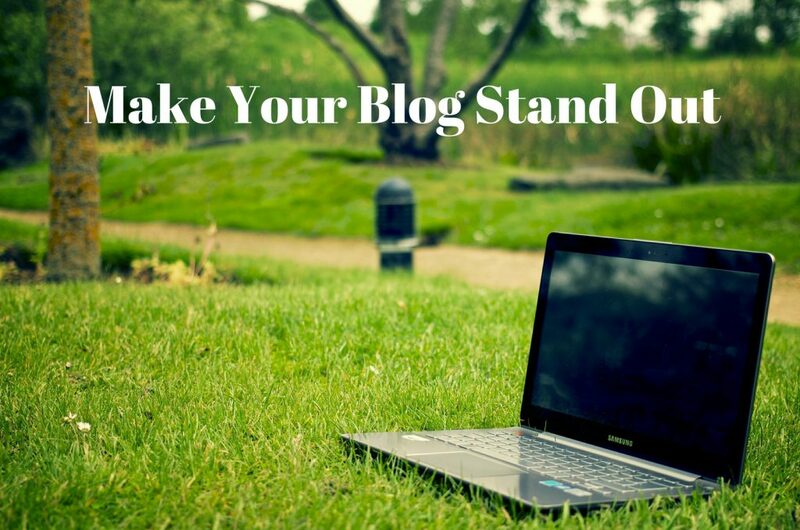 You just want to learn how to make your blog stand out from the rest. And that’s what I’m gonna give you! If I read one more blog post that seems like a first-grade essay I’m gonna blow my brains out. Okay, maybe not. But the thing is many people, especially newcomers, approach blogging like it is something overly serious. Blogging is NOT serious. Blogging at its very core is communicating. Blogs started out as online journals for people to document their lives. Nothing more, nothing less. You don’t have to write like you are compiling the next masterpiece of the century. You just have to communicate who you really are. 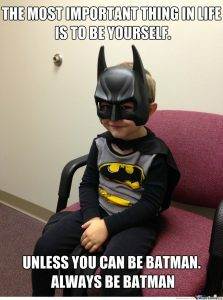 Let your personality show, use your unique sense of humor(who cares if not everyone will get it), be YOU. Share your experiences and tell stories. People like good storytelling. Be TRANSPARENT. Show who you really are. Stop hiding behind the comfort of your screen and keyboard. Stop writing for keywords, stop writing for the search engines, stop writing for robots. Those are all good practices if they are implemented after you have quality in place. Don’t lose sight of what’s important. Your first priority should be writing for people. Never forget who consumes your content. You may ask, why not write for my audience? Isn’t that what you are talking about? Well, yes and no. Let me elaborate. You shouldn’t write about something that doesn’t interest you, just because you believe there is an audience out there for it. In this vast online world, you can find audiences about anything. I have a blog that discusses theories about the future of a Japanese animated series(anime), One Piece. How’s that for a special audience? Write from your heart, write about what excites you and there’s no way that an audience interested in the same things as you isn’t out there. After all, the bots of Google are getting more intelligent every day and they will value real content by real people more and more with years to come. It’s similar to my first point but I want to stress this one. Noone wants to read what they’ve always read. People want to hear opinions. There are people out there that like your unique voice, they just don’t know it yet. Because you don’t have a unique voice. Yet. Give your opinion on whatever you’re talking about, don’t rehash old stuff. And maybe even take a stand. Take a stand for what you believe in. Paint your content with your own unique perspective. It’s the only way to differentiate from the others. By doing what you know better than anything, being yourself! What is a fluffer? Well, I just made the term up :P.
What I mean is try to eliminate the unnecessary from your blog, try to eliminate the fluff. I mean it in two ways. First of all, comes your actual content. People like humor and stories, they even like talking about random stuff. I’m all for that. What they don’t love though is pointless talking. Pointless words that bring no value to the reader. Get to the point, provide value with your content and get out of there. Many have talked about the importance of long-form content regarding Search Engine Optimisation. Big names like Neil Patel and Brian Dean swear to the power of lengthy blog posts. I tend to agree. In fact, the shortest post on this blog is 2000 words. However, I have some points I want you to keep in mind. First of all, lengthy doesn’t mean rambling. You should focus on substance in your posts and delivering your point as concisely as possible. Fluff doesn’t count here. 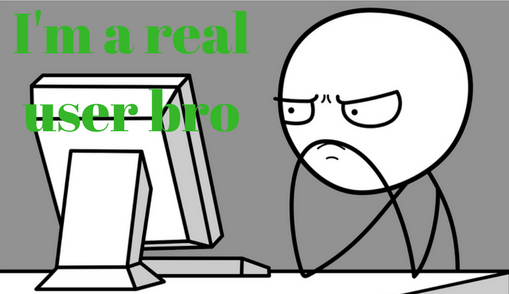 Secondly, not all blogs and niches are made the same. For example, the famous writer Seth Godin writes small 200ish posts every day. That’s his style and he is killing it with it. Well, we are not all Seth, but there are some important points to be made here. Many target markets want shorter posts and others prefer lengthy, authoritative content. No two audiences are created equal. For example, on my anime website, I write 1000 to maximum 1500 words. It’s a niche in entertainment and I have beautiful rankings like that. No need to go too lengthy. The same goes for niches that are more visual, maybe beauty for example. Women would love photos and a makeup tutorial. They don’t want to read an essay when they are preparing themselves for a night out. The point to take home is simple. Lengthy is good, lengthy with substance and good editing is best. However, you must understand your readers. Write a shorter post and compare how it is perceived related to a lengthier one. Are you getting ranked with 1000 word posts? Then, by all means, keep on rocking. I have had 800-word posts on page 1 place 1 on google, and 1500 word posts nowhere to be found. Length is not the only measure of a post’s success. Don’t feel confined to reach a certain number of words. The goal is to communicate your message thoroughly. If you do that and are happy with it, everything is perfect. I just have one final tip. It’s good to have a goal, especially starting out. Decide on a word count that makes sense and that stretches your comfort zone a bit and try to beat it when writing. Helps me a lot. Whichever word count you end up with, the next and most important step is to make your posts beautifully readable. Well, this may seem counterintuitive, however, bare with me. Blogs are for text no? Well, not exactly. Blogs are no longer simple diaries. The whole identity of blogs has evolved to multimedia pieces of content. Blogs nowadays are full of images, videos, infographics, and charts and for good reason. People like to be shown, they don’t just want to read. Beautiful, relevant pictures, maybe a youtube video, nice, explanatory headlines go a long way. They improve readability and they improve the time people spend on your page. 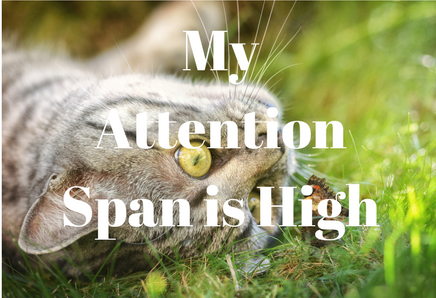 Our attention span is short nowadays, no doubt. However, a piece of content beautifully edited will be read easily and your readers will enjoy it. Moreover, you should make it easy for readers to skim your content(see what I did here? :P) and get easily to what they are looking for. Many of us skim(me included) and we should, in fact, encourage it. Add a table of contents, add relevant headlines and bold the most important parts that deliver your message home. In addition to these, add small paragraphs and conversational tone into the mix, and you’ll make your readers stick to your posts with ease. There are so many bloggers out there and so many tools they can use to add different bells and whistles and shiny objects to their websites. What this has led to is blogs that are full of noise. Sidebars filled with options and offers. Pop-ups urging you to subscribe or buy. Pop-unders(is that even a term now?) well, because pop-ups were intrusive. The solution? Open up a page that the user doesn’t even know how opened. Hello bars, calls to action inside content, social media to follow, e-mail newsletters to subscribe to, suggested posts to check out and the list goes on and on. What all those do is distract the reader. They tend to paralyze the reader’s mind and the result is what we never wanted to begin with. The reader stops reading our content and doesn’t follow through on what we wanted them to do, be that a purchase, a subscription or some form of engagement. Research has shown that the fewer choices a buyer is presented with, the more probable it is they’ll buy. What should we do? Should we ditch everything on our web pages and just leave our content? However, I believe that minimalism in your blog’s design can help in many ways. Most important of all, the user will be focused on your content and more probably follow through on your suggestions and calls to action. Not every blog or website should be the same. While I do believe many elements blogs nowadays use are redundant and actually reduce the quality of the experience, they are certainly helpful if used with intent. 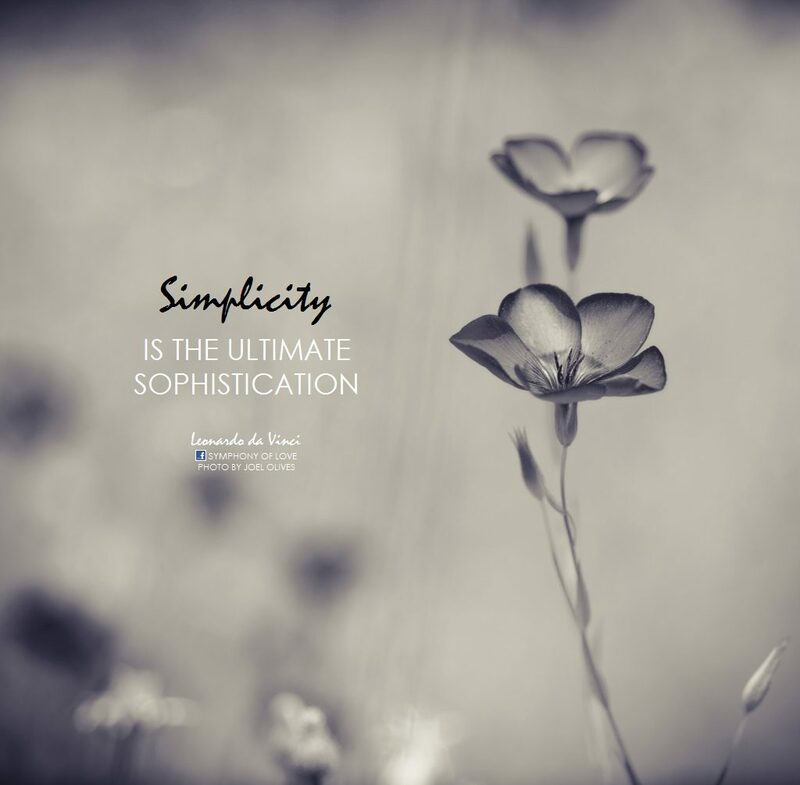 What you should do is start with simplicity and minimalism. Then, you can incrementally add features to your blog and test them out. If you see that a certain element really adds to your goals then, by all means, keep it that way. However, if something feels redundant or doesn’t serve an important purpose be sure to dump it like there’s no tomorrow. Your readers will thank you, as well as your conversion rates and your bank account as well ;). Be sure to check this really helpful blog post from wpmudev with opinions on if sidebars nowadays are redundant or not. This comes in conjunction with the above. Ads are generally annoying and people have started to ignore them. Even if we don’t take into account ad blocking software, they are not even effective when they appear. There is a term called banner blindness and people suffer from it these days. That is when they see a banner ad they just tend to ignore it and realize they are being sold at. I’m not saying you shouldn’t monetize your website. What I am saying is that there are better ways to do it(like reviewing and suggesting products/services) that are better for the reader’s experience and are also more effective than banner advertising. Not to mention they pay better. Take affiliate marketing for example. Don’t make it apparent that you are selling and you get the best of both worlds. A more beautiful and minimalistic website, along with more sales. I hope I gave you some helpful ideas and mindset shifts on how to make your blog stand out from the rest. With so many bloggers and so many bells and whistles out there, it’s often hard to focus on what’s really important. Be sure to share your methods below and tell me where you disagree with my opinions as well. I’m happy the tips were helpful Jeffrey! Attracting readers to your blog is not rocket science really. It all comes down to providing quality content at the end of the day. Thanks for sharing the love. This is a fantastic article! The stuff you said about the length of blog posts was particularly insightful, as I’ve never really thought about that much! I’m quite new to blogging, so I’m still learning about it. Just interested, do you think blogging will remain a good platform to build an audience, or do you think it’s important to start incorporating video as well? Blogging is still relevant and a great platform to promote your brand, build an audience and communicate effectively with it. However, yes multimedia inside your posts and other forms of content are certainly helpful to incorporate into your material, maybe even mandatory in the 2018 world of SEO. Video, gifs, images, podcasts, all can help your website differentiate from the mass! I think the most important part of blogging is being unique. You have to find a way to show your personality when you’re writing about something. And taking it too seriously is another thing most struggle with. There’s nothing to be serious about. Just express your thoughts and ideas in your own way and that’s it! Yes that’s exactly what I’m talking about. People try to game the search engines or view blogging as a sterile and technical endeavor. It couldn’t be further from the truth. You really have to make your personality shine! I am so glad I came across this article, and I can see you put a lot of effort into this article because there is so much detail. I tend to find myself writing about irrelevant things around my content, which might hurt the quality of my articles. Also, I like the idea of being a minimalist, eliminating pop-ups so the readers are not distracted. Thank you so much, and I will come back for more advice!